It’s the season for mangoes! 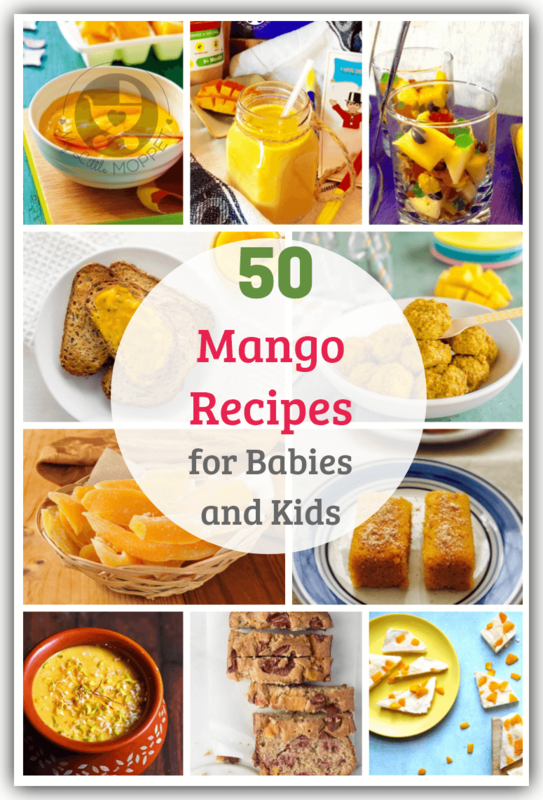 Enjoy the king of fruits with your family by trying out these 50 healthy mango recipes for babies and kids of all ages. Indian summers are incomplete without mangoes, and if you’ve grown up in this country, they’re bound to bring back some lovely memories of cousins, summer holidays and games. This is a fruit which everyone can enjoy and you can also give your baby mango. 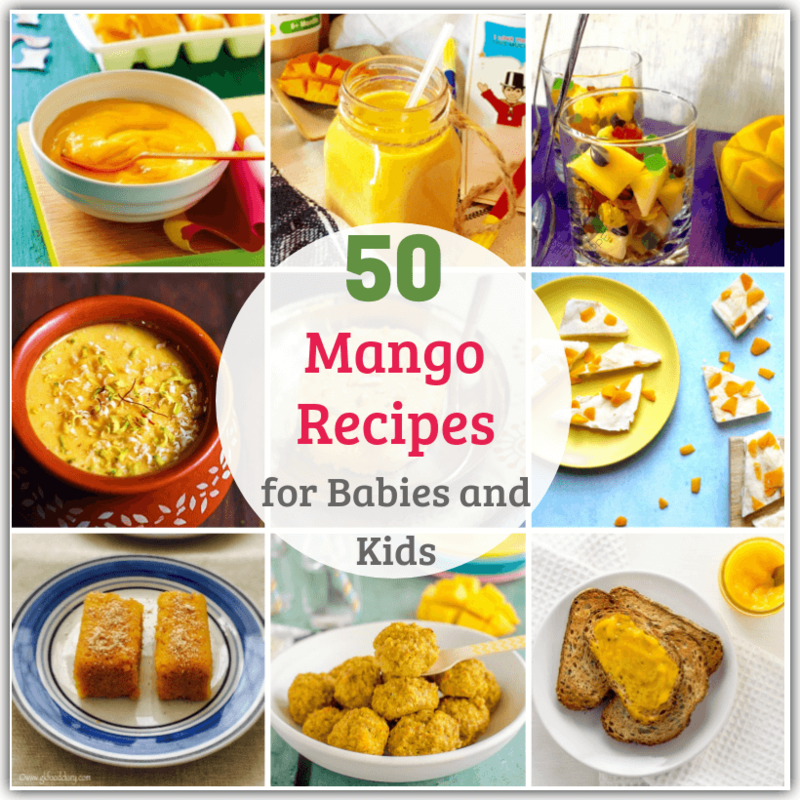 Let’s revive this nostalgia by celebrating the season of mangoes with our family – with these 50 healthy mango recipes for babies and kids! 1. Homemade Mango Puree (6 Months) – This is the most basic mango puree recipe to feed your baby who’s starting out on mangoes. 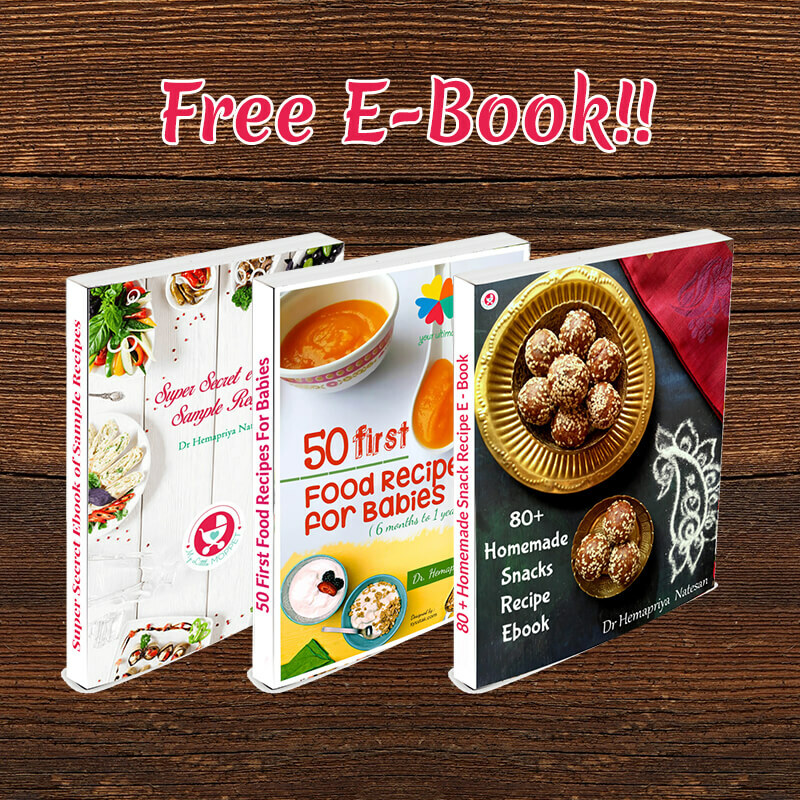 Check out the recipe from Parenting Healthy Babies. 2. 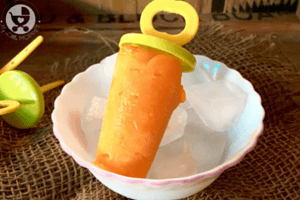 Carrot Mango Apple Puree(8 Months) – This recipe from Family Focus Blog is the ideal Stage 2 puree recipe that includes naturally sweet fruits and veggies like carrots and apples. 3. 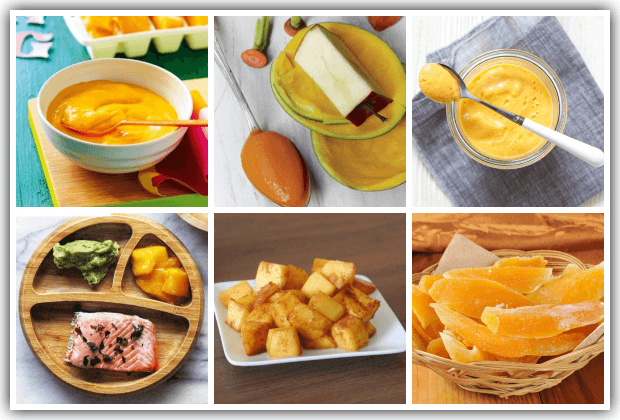 Chicken and Mango Baby Puree (8 Months) – This recipe from Baby Foode looks delicious enough for adults! Once your baby is familiar with eating chicken, you can go ahead and combine mango for a tasty puree. 4. Salmon Mango Puree (8 Months) – Megan Garcia has a mango recipe for fish eating families. You can simplify this recipe by including only the fish, mango and stock. 5. 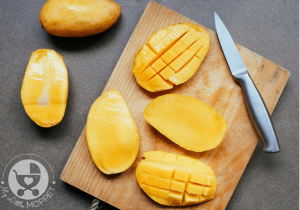 Easy Baked Mango (6 Months) – If you’re starting baby led weaning with your little one, this baked mango recipe from BLW Ideas is a good idea. You can with just mango and cinnamon to start with, and add the other ingredients later. 6. Dried Mango Snack (8 Months) – Here is a snack from Fit and Fab Living that also works as a finger food or teething remedy. Chill the snack if your baby is teething for some cool and soothing relief. 7. Mango Chia Pudding (10 Months) – Beaba USA has a yummy looking pudding that uses healthy ingredients like chia seeds and yogurt. The cardamom adds a nice flavor and aroma to the pudding. 8. 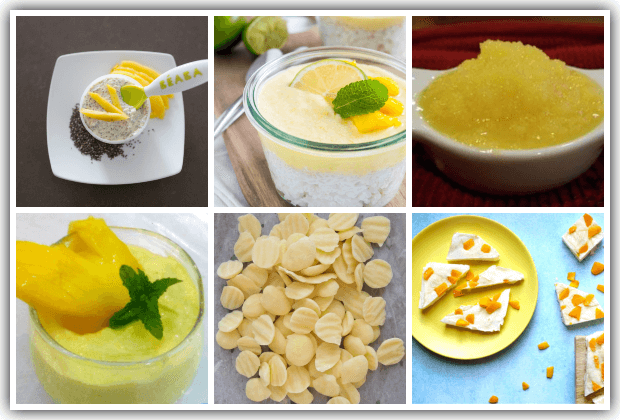 Mango Rice Pudding (10 Months) – Plated Cravings has a summer friendly and filling rice pudding recipe that uses mango along with coconut milk instead of cow’s milk. Skip the salt and agave to make it suitable for babies under one. 9. 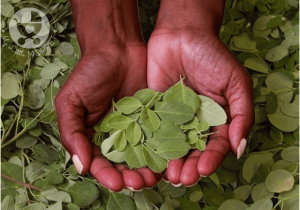 Sunrise Quinoa (10 Months) – This recipe may sound complicated but all it needs is quinoa, mango and applesauce!  Check out the full recipe at Wholesome Baby Food. 10. Easy Mango Yogurt Recipe (8 Months) – A simple recipe that’s perfect for summer, this makes use of just two ingredients – ripe mangoes and hung curd. Make sure the curd is not too sour. 11. 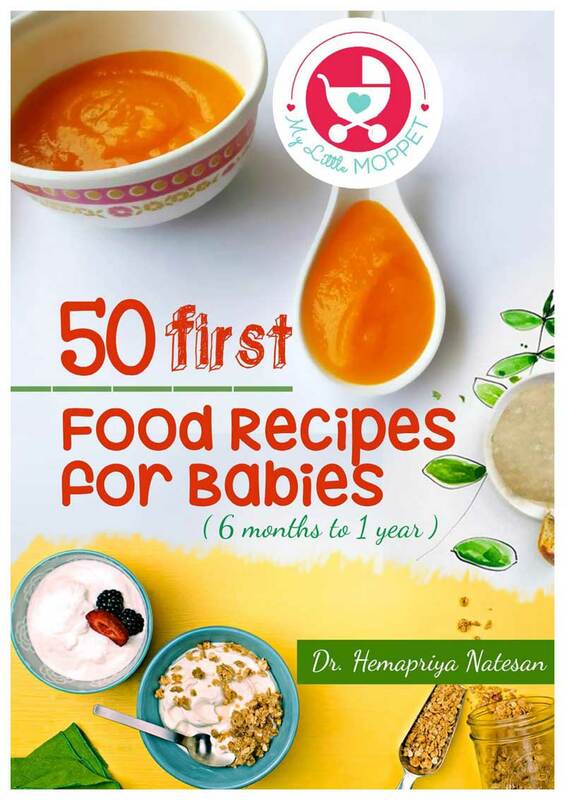 Coconut Mango Baby Yogurt Melts (8 Months) – Because I said so Baby has an easy but interesting recipe that’s ideal for babies to practice their pincer grasp. Go with homemade yogurt and mango yogurt for a healthy, wholesome snack. 12. Frozen Mango Yogurt Bark (8 Months) – This is a great snack with lots of texture that babies will have fun with – both playing with it and eating it. Get the instructions to make this from Mums Grapevine. 13. 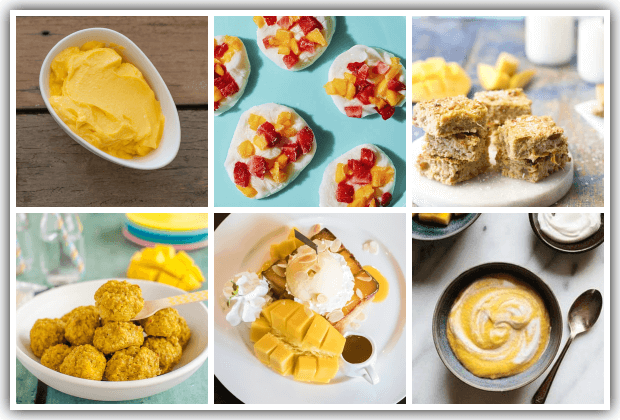 Dairy Free Mango Ice Cream (9 Months) – Coconut milk makes this mango ice cream from Clean Eating Kitchen suitable for babies under one. Opt for homemade dates syrup instead of maple syrup in the recipe. 14. Strawberry Mango Yogurt Drops (8 Months) – This no cook recipe from Sainsbury’s is just what both Mommy and baby need this summer! Strawberries and mangoes go well with the yogurt – just make sure to use a homemade variety. 15. Coconut Mango Oat Breakfast Bites (10 Months) – These bites from Healthy Little Foodies are perfect to pack in a lot of punch when feeding fussy eaters. You can skip the raisins if you like and go for organic oats for a healthier dish. 16. Baked Mango Chicken Meatballs (10 Months) – These meatballs are so filling and delicious, the whole family will want to feast on them!This recipe from My Kids Lick the Bowl uses mango, chicken mince, carrots and coconut milk for a wholesome dish. 17. Mango Tofu Dream (10 Months) – This dairy free recipe from Homemade Baby Food Recipes uses silken tofu to give this dessert a beautiful creaminess along with the flavor of ginger and vanilla. 18. 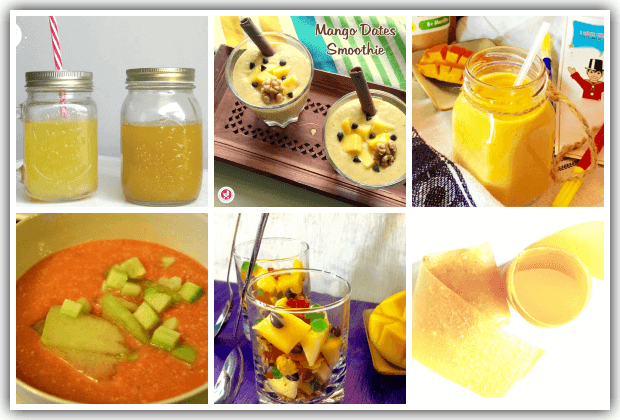 Mango Oatmeal (7 Months) – Fit Pregnancy shows us how you can make an easy and nutritious breakfast for your baby this summer. You can also use coconut milk instead of the breast milk so you get the required creaminess and a nice flavor. 19. 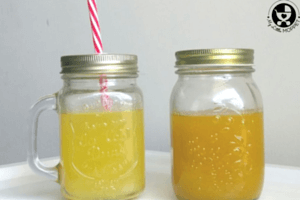 Homemade Mango Frooti Concentrate – Who doesn’t remember summers spent with Mango Frooti? Here we recreate those memories with a homemade mango Frooti concentrate recipe. 20. 3-Ingredient Mango Dates Smoothie – Two nutritious ingredients come together in this refreshing mango dates smoothie. You can also make this a thicker slushier version to eat with a spoon. 21. Multigrain Mango Milkshake for Toddlers – Here’s a perfect option for fussy toddlers to get the nutrients they’re missing from regular meals – by including multigrain powder. 22. Chilled Mango Cucumber Soup Recipe – A chilled soup seems like just what you need for a light meal during hot weather. With water laden vegetables like cucumber, this is a great hydrating recipe. 23. 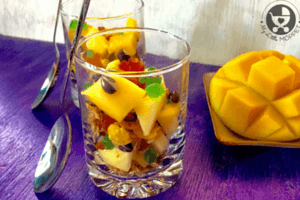 Mango Muesli Shots Recipe – You’ve heard of muesli and you’ve heard of shots, but these two unrelated things come together for a party-worthy and healthy recipe. 24. Mango Fruit Leather – Kids love foods that appear in forms different from the normal, and this fruit leather recipe from Less in the Nest serves this purpose to the T! 25. Mango Snack Bites – It’s unbelievable how delicious and easy to make these snack bites are!! With coconut, mango and healthy seeds, these bites from Kidgredients pack in quite a crunch! 26. Mango Turmeric Ginger Spread – Not many spreads can claim to have healing properties, but this one from Wee Little Vegans certainly can, with ingredients like turmeric and ginger! 27. 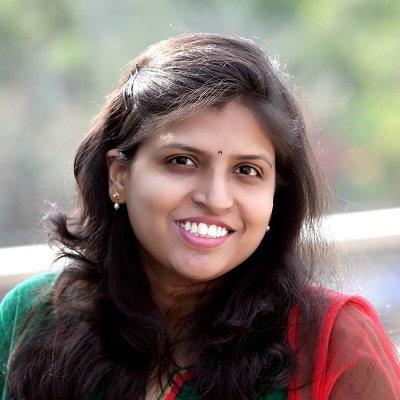 Mango Pancakes – This pancake recipe from Tarla Dalal makes a great summer breakfast idea. You can skip the sugar and replace the refined flour with whole wheat flour to make it healthier. 28. 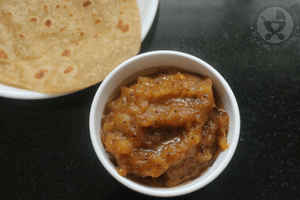 Carrot Mango Paratha – If your kids are bored with regular vegetable stuffed parathas, try this one from Sharmis Passions which uses some sweet mangoes as well! 29. Coconut Cashew Chicken Mango Rice – This dish from Chef de Home is so yummy and good looking you could easily serve it at your next summer party – and not just for the kids! 30. Mango Pineapple Chicken – If regular chicken curry is too spicy for your little one, give this recipe from Healthy Little Foodies a try. With mango and pineapple, it’s the perfect balance of all flavors! 31. Honey Mango Popsicle Recipe for Summer – Summers are synonymous with Popsicles and mangoes, and now you can combine the two in a delicious Honey Mango Popsicle recipe! 32. Frozen Mango Cheesecake Mini Bites – At My Kids Lick the Bowl, you’ll find an innovative recipe that combines the best of all worlds – cheesecake, mango and ice cream sticks! 33. Easy Homemade Mango Kulfi Recipe – Kulfi is another childhood favorite of pretty much anyone who’s grown up in India, and this mango kulfi recipe will bring back some lovely memories. 34. Mango Passion Fruit Custard – A great way to introduce your child to new fruits is by combining them with familiar fruits, like Little Big H has done in this custard recipe. 35. 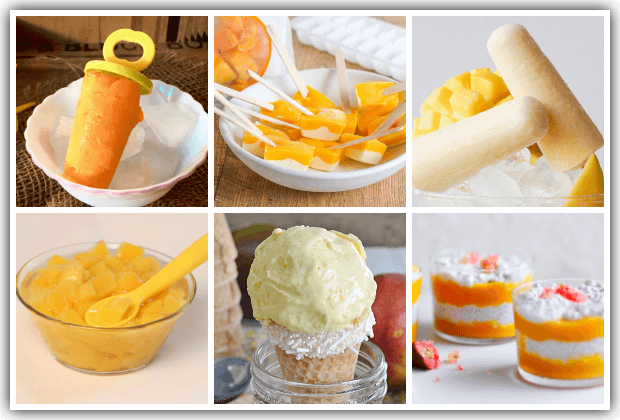 Homemade Mango Gelato – You don’t have to spend a lot at fancy places to have yummy gelato – you can make it at home! Try out this recipe from Lady Behind the Curtain. 36. Coconut Chia Mango Parfait – This recipe from Nurture Parenting is a pretty dessert that can be customized in a variety of ways. Top with chopped berries for a colorful and healthy dish! 37. Homemade Mango Ice Cream – If you thought making ice cream was a huge effort, this no churn recipe from Veena Azmanov will prove otherwise. 38. Mango Sweet Appam – Appams or South Indian dumplings have many variations, although mango appams aren’t that well known! 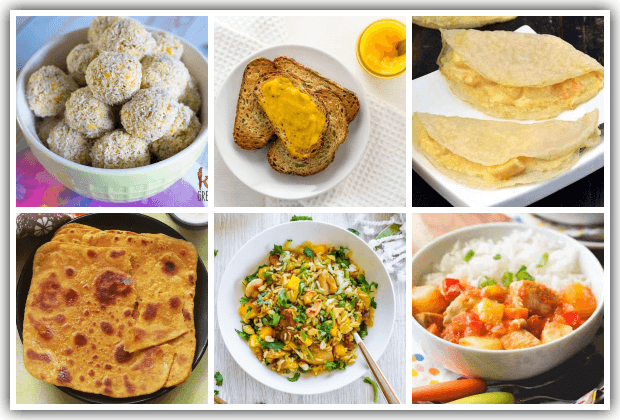 This recipe from Shravs Kitchen will ensure that this becomes the latest ‘in’ thing! 39. Mango Phirni – Get into a festive mood this summer with a creamy mango phirni recipe from Cook Click n Devour. If you choose fully ripe mangoes, you won’t need to use as much sugar. 40. Mango Sheera – This sheera recipe from Indian Khana is perfect for toddlers who still like soft foods once in a while. Cut down on the sugar to 1/3 cup by choosing ripe mangoes. 41. 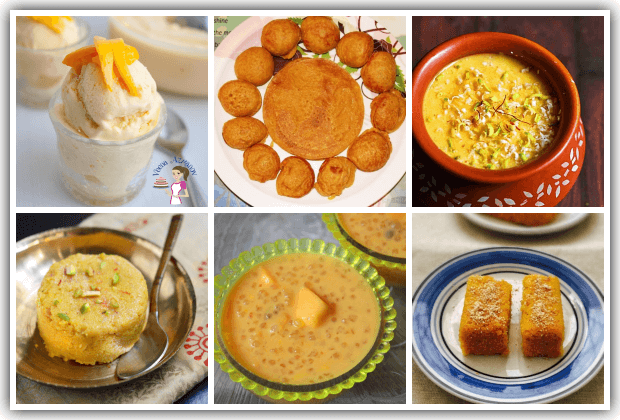 Mango Sabudana Kheer – If you thought sabudana was just for fasts, think again! Yummy Tummy Aarthi turns this humble grain into a delicious kheer by adding juicy mangoes. 42. Mango Sooji Cake – GK Food Diary has a simple recipe for a delicious cake made with semolina instead of refined flour. You can use powdered jaggery instead of brown sugar and adjust it with the sweetness of the mango. 43. Strawberry Mango Banana Bread – Why make plain banana bread when you can add many more fruits to it! Check out this recipe from Healthy Little Foodies that is perfect for breakfast or a snack. 44. Mango Muffins – Go Dairy Free has a muffin recipe that ticks all the right boxes – it’s dairy-free, sugar-free and eggless. And with mango, vanilla and warming spices, this is sure to be a hit with kids! 45. Mini Mango Banana Cupcakes – Cupcakes are a hit with kids everywhere, and this recipe from Little Big H makes the most of this love by adding healthy ingredients like mango and banana to it. 46. Mango Pineapple Oat Biscuits – Why go for the same old store bought biscuits for your afternoon tea when you and your family can enjoy these delicious fruity biscuits from Little Grazers? 47. Mango Strawberry Chaat Salad – Mangoes, strawberries and chaat – this may sound like an unlikely combination but this recipe from Shravs Kitchen shows us that it works quite well! 48. 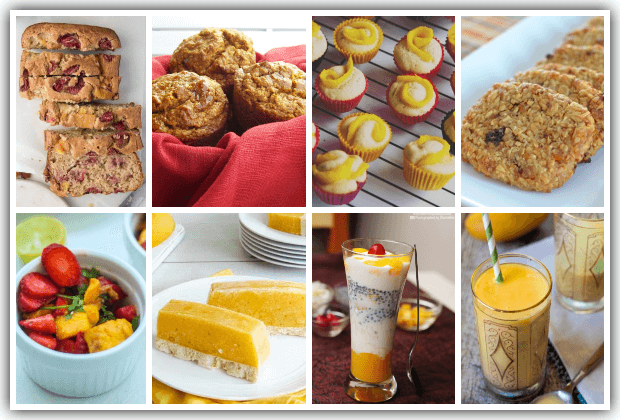 Healthy Mango Bars – It can’t get healthier than these mango bars from Healthy Mummy! With lots of fruit and yogurt and no sugar, these are the perfect healthy summer treat. 49. Mango Falooda – People who like falooda usually love it with a passion, and it won’t be any different with this delicious and refreshing mango falooda from Sharmis Passions! 50. Mango Lassi – You can’t have a list of mango recipes without mentioning the classic summer favorite – Mango Lassi! The Wanderlust Kitchen shows us how to make this Indian summer must-have, with simple ingredients. Can I give my Baby Mango?